A Sydney suburb currently “somewhat bare” in terms of social amenities has potential for substantial capital growth, according to a rental market expert. Lisa Indge, managing director of Let’s Rent, said Lewisham, approximately eight kilometres south-west of the Sydney CBD, will soon mimic the stellar capital growth performance of other inner-western suburbs. 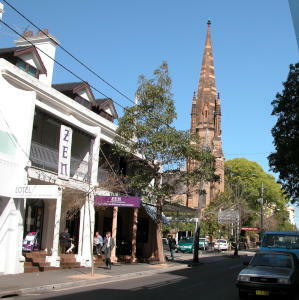 Ms Indge offered up Surry Hills and Camperdown as comparable examples, saying Lewisham would soon be subject to the same supply-and-demand forces. “A few years ago, people thought that the Sterling Circuit complex in Camperdown would be a disaster due to the many properties being built and the oversupply. “Although Camperdown’s rental yields could be improved, the area’s strong community hub has proved to be a very successful drawcard for new residents,” she said. Lewisham, according to Ms Indge, will also benefit from increased infrastructure in coming years. “Lewisham shares many traits [with Camperdown] and could therefore do very well – especially given the proposed new Summer Hill shopping centre and light rail access. According to RP Data figures from October, the median house price in Lewisham has climbed by 13 per cent over the past 12 months, with units up 22 per cent. Over the past five years, house prices have climbed 53 per cent, and units 56 per cent. Gross rental yields for houses in Lewisham are currently 3.5 per cent, according to RP Data, and units offer a 3.7 per cent return.